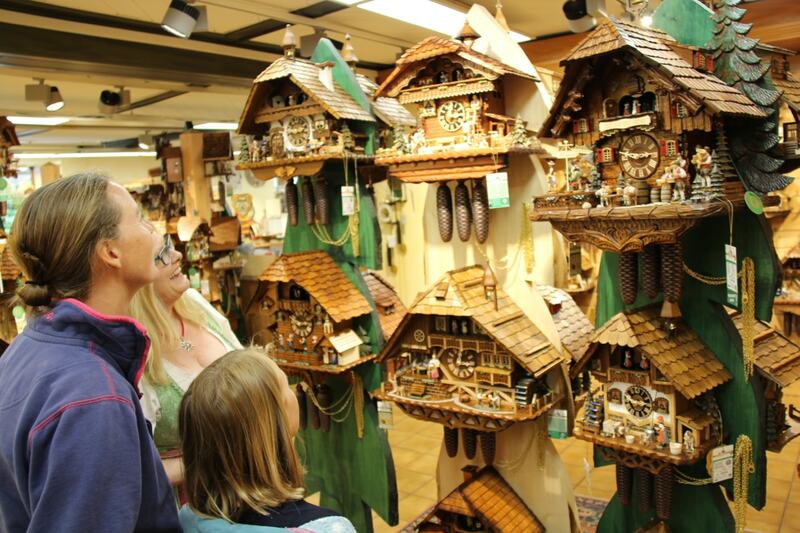 Black Forest craftsmen have been making cuckoo clocks since the 1600s, and they are still making them today. 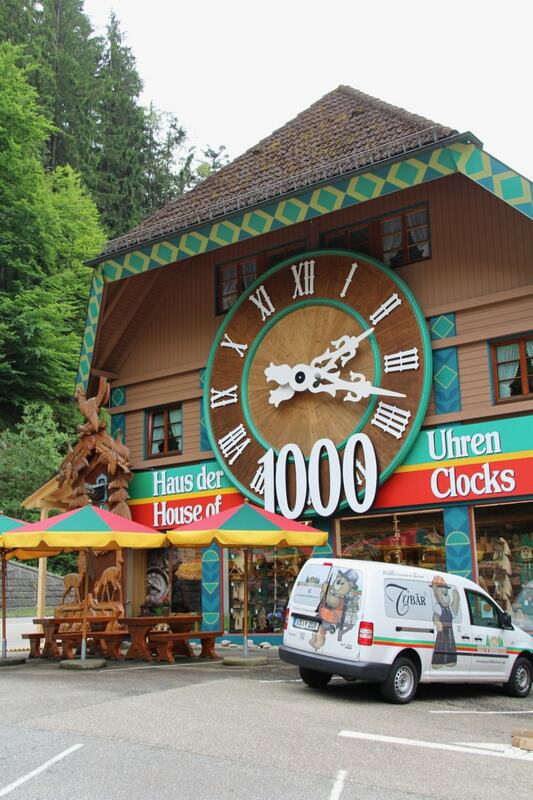 So we thought where better to get a Design/Technology ‘Roadschooling Lesson‘ on gearing, pulleys, cams….. than in the cuckoo clock capital of Europe! 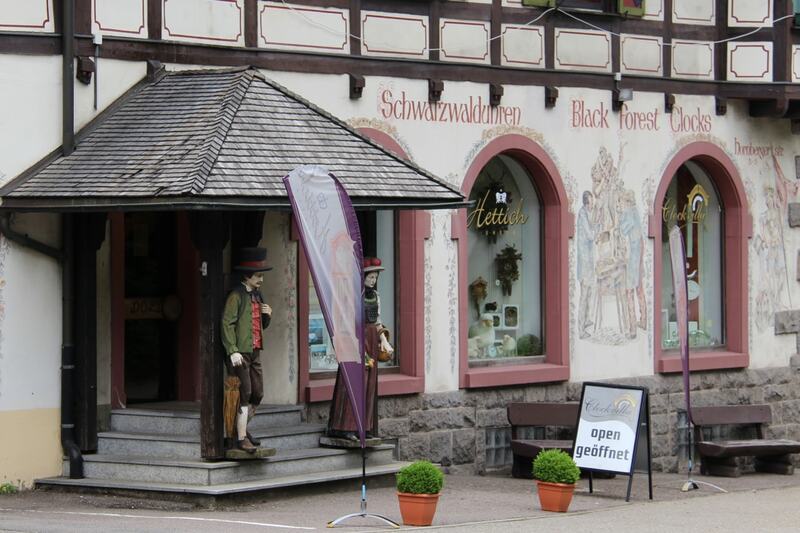 The Cuckoo Clock has its origin in the heart of the Black Forest (Germany), having been invented here in Schoenwald in 1737. 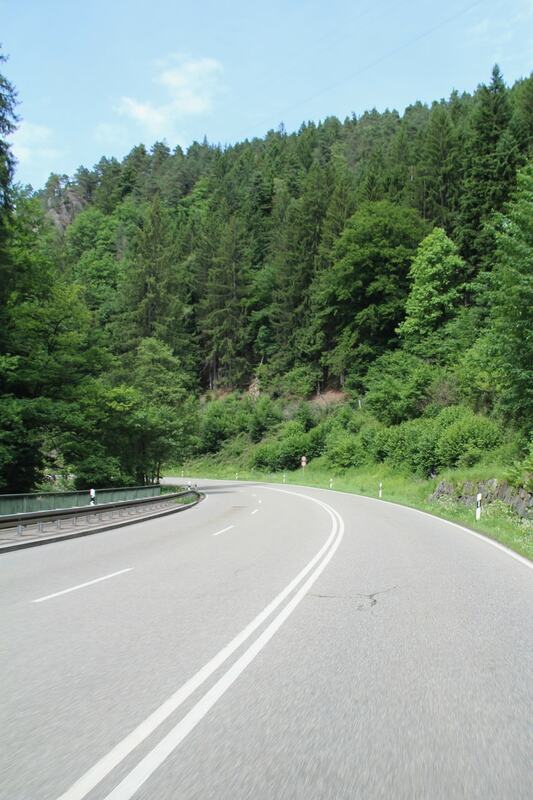 So having left the shores of Lake Constance, we’ve headed into Germany’s Black Forest. 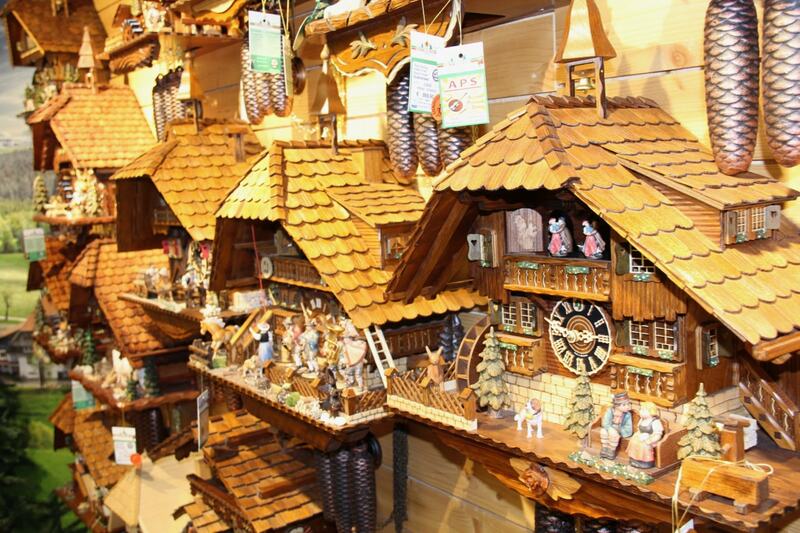 The Black Forest region in Germany spawned more than just fairy tales like Hameln; it also served as home to the first cuckoo clocks. 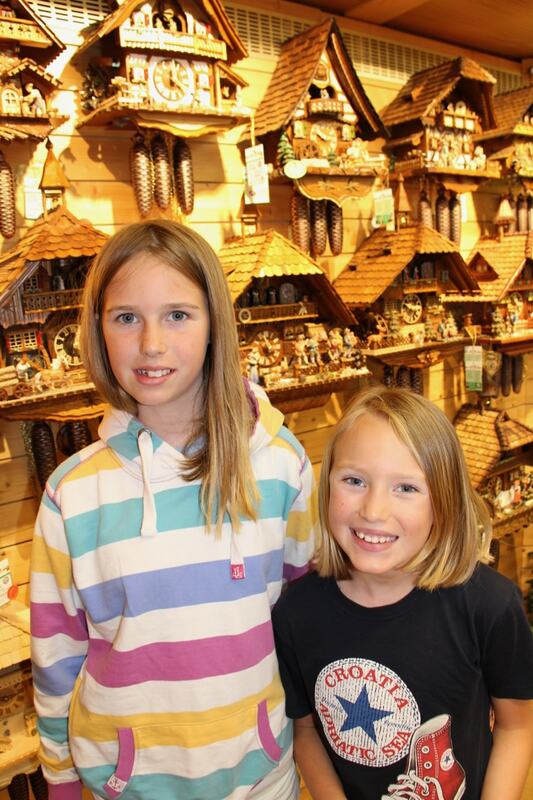 Having seen these in Christmas Markets earlier in the year, it was great to show the girls some of the workmanship that goes into each of these iconic clocks. 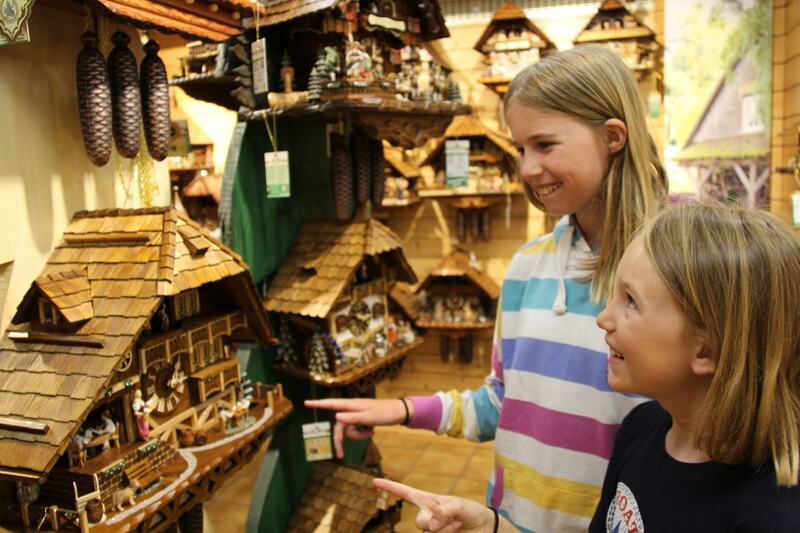 Having seen Munich’s ‘Glockenspiel’ or Prague ‘ Astronomical Clock’ both girls have developed an interest in how clocks are made… and where better to find out than Triberg in the Black Forest. 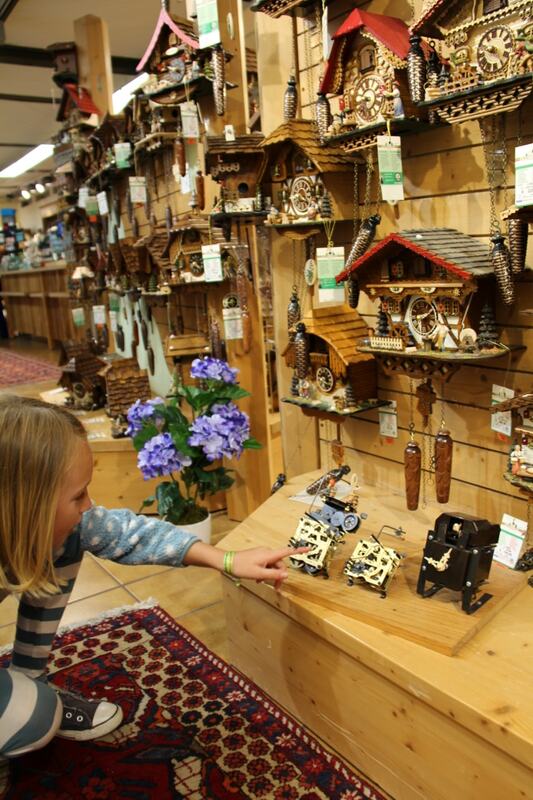 For the girls, it was brilliant to chat to the owners and gain a greater understanding of just how each clock is made and how the components fit together. 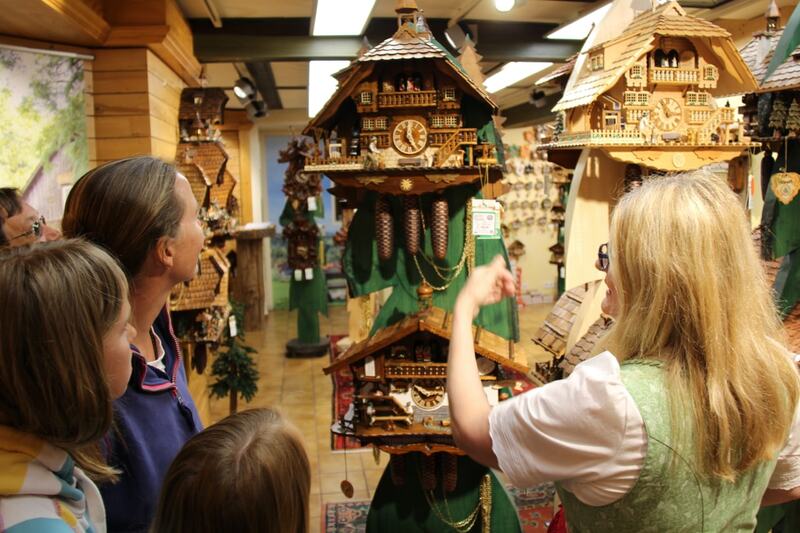 The opportunity test each part wth the working models fascinated both girls and we easily spent 2hrs discussing how each clock was made….. and how each ‘towns’ action scene has been ‘technically’ put together. 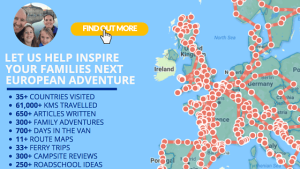 If this isn’t roadschooling action, then I’m not sure what it is…. 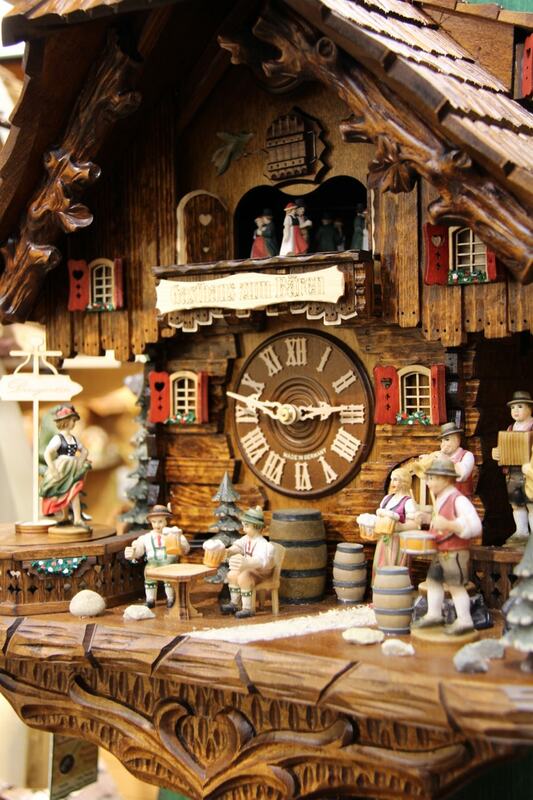 Each clock is hand carved and full of figurines, full of woodchoppers chop, bell ringers ring, mill wheels turning or beer steins raised to happy couples dancing to the music. 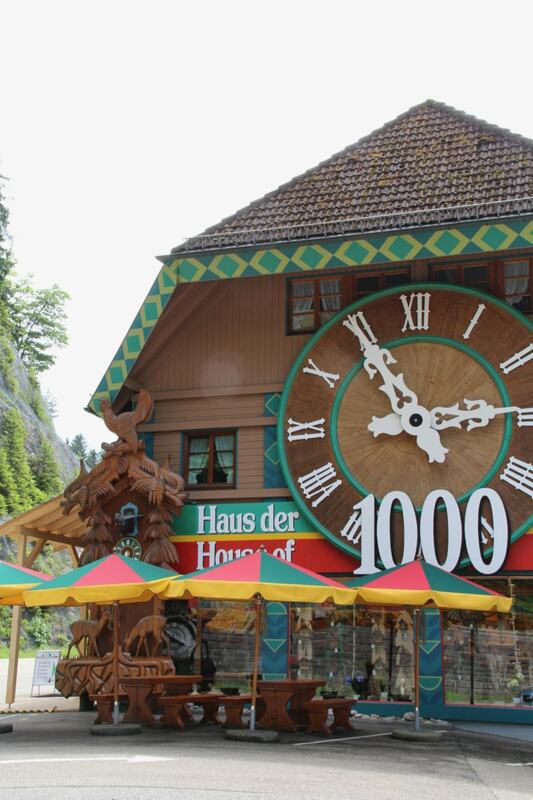 Each clock is apparently supposed to reflect a scene of life in these beautiful Black Forest towns/villagessuch as Kinzing, Baden Baden or Schiltach. 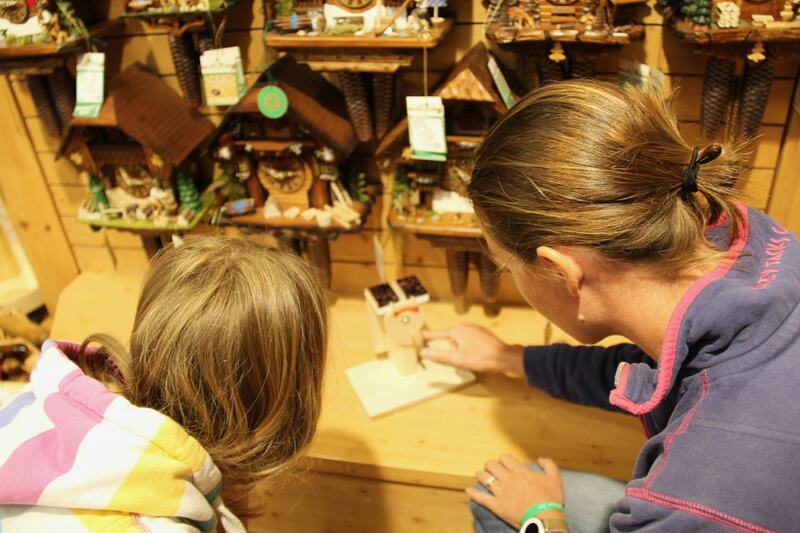 It’s well worth heading north from Triberg’s waterfall and train rides, through the Gultach valley towards Baden Baden… but for us a chance to visit Strasbourg was too good an opportunity to pass up!! 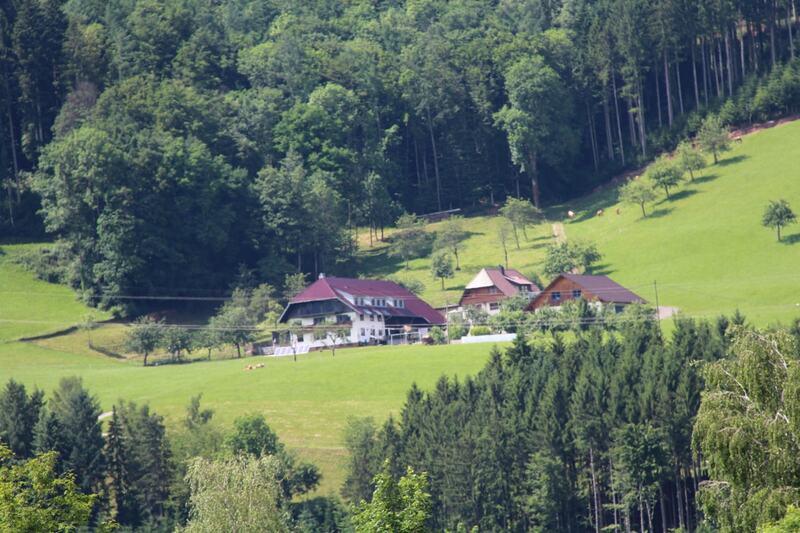 So west we headed…. 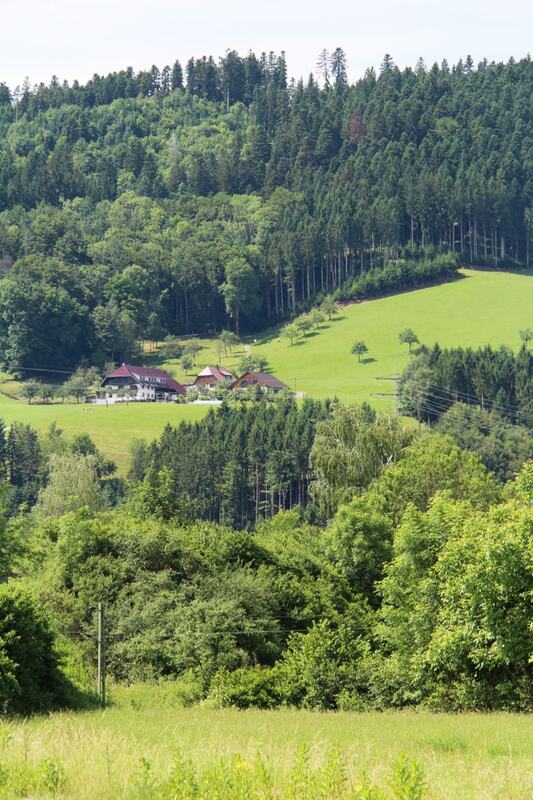 into France. PreviousBritish History brought to life at Pembroke Castle in front of your own eyes! 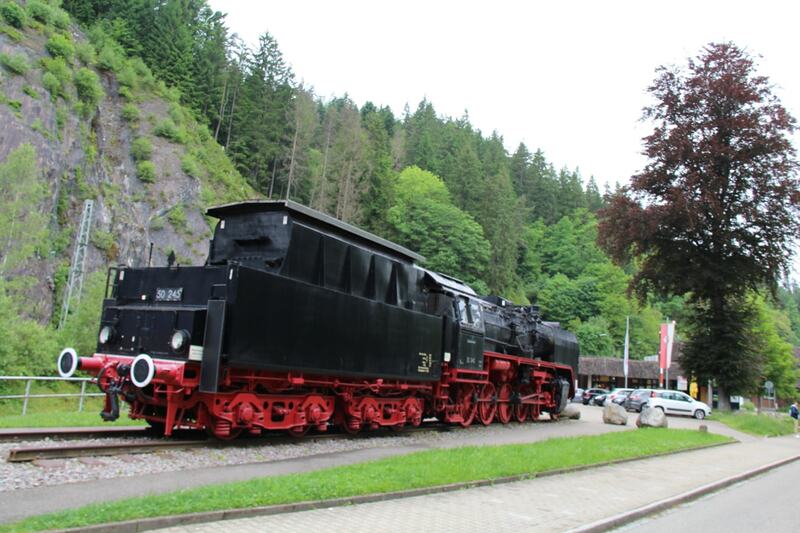 NextEver Heard the Fairytale of the Pied Piper of Hameln?